RSPEC - Reduce Swimming Pool Energy Costs! Reduce Swimming Pool Energy Costs! 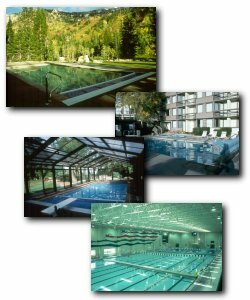 RSPEC (Reduce Swimming Pool Energy Costs) was a program initiative of the U.S. Department of Energy's Institutional Conservation Program (ICP). The RSPEC program is no longer funded and there are no staff to support the program, but in an effort to keep the intent of the program alive, that is to reduce swimming pool energy costs, the materials produced under the program are presented here for your use as is as a service of R. L. Martin & Associates, Inc..
You will find fact sheets that you can download, print and distribute and energy software for calculating the cost of heating your pool. This web site is posted here as a service by R. L. Martin & Associates, Inc.. This is a former U.S. Department of Energy program that no longer has any funding so the information is provided here as is. There is no one to answer any questions anymore, but the site still contains very useful information.